HOUSTON (KTRK) -- Some kids got a special treat Wednesday: hearing Former First Lady Barbara Bush read Dr. Seuss' "Green Eggs And Ham." The special reading happened at Walnut Bend Elementary School in honor of National Read Aloud Month. It's also the 112th birthday of Dr. Seuss. Organizers say reading aloud to a child for at least 15 minutes a day can make a huge impact. 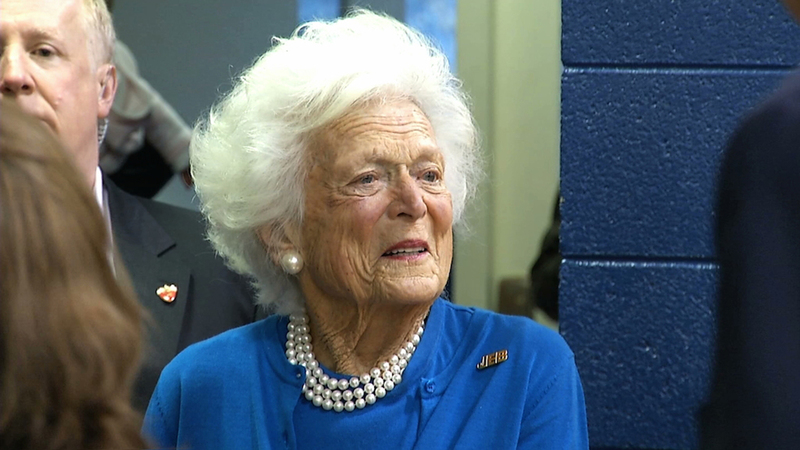 "If you can't read at an age appropriate level, it's obvious you can't realize your fullest God-given potential," said Neil Bush with the Barbara Bush Houston Literacy Foundation. Wednesday's reading event also acted as the unveiling of a public service announcement featuring Mrs. Bush and Rockets start Dwight Howard. Dwight Howard and Barbara Bush teamed up for literacy. Dwight Howard and Barbara Bush are teaming up to fight low literacy.